Product prices and availability are accurate as of 2019-04-01 02:03:19 EDT and are subject to change. Any price and availability information displayed on http://www.amazon.com/ at the time of purchase will apply to the purchase of this product. Olympia Faucets offers a quality line of faucets, valves and bath hardware at a very competitive price. All Olympia products are manufactured to specifications that meet or exceed all pertinent codes and regulations and are nationally distributed from our distribution facility located in Nashville, TN. 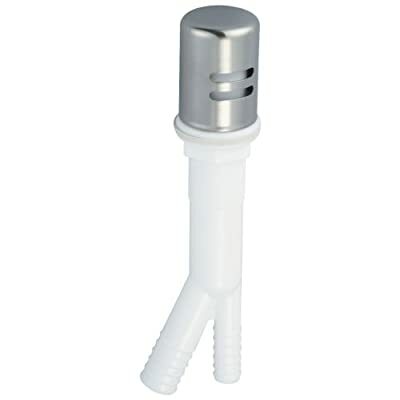 Dishwasher Air Gap, Plastic Body Included, 1-3/4-Inch Cap Diameter, 2-1/2-Inch Cap Height, 8-7/8-Inch Overall Height With Plastic Body, PVD Brushed Nickel Finish.